The storms known as "atmospheric rivers" are make-or-break events for California's water supply. Category-5 atmospheric river storms, designated as 'primarily hazardous,' come along every three to five years, says Marty Ralph of the Scripps Institution of Oceanography. They can also be serious troublemakers, causing flooding and mudslides if they linger too long over the state. The recent National Climate Assessment included ARs as a type of extreme storm for the first time, and cites them as a specific risk associated with climate change. But there hasn't been a convenient way to classify these events according to their ferocity -- until now. A team of atmospheric scientists have come up with a scale similar to those used for hurricanes, tornadoes, and earthquakes. The new scale, proposed Tuesday in the Bulletin of the American Meteorological Society, is similar to the one used for hurricanes: storms are classified as category 1 through 5, according to how much water they're packing and how long they're likely to stick around, wringing out that moisture as precipitation over land. "These atmospheric rivers are the most impactful storms for the West," says Marty Ralph, who led the effort to develop the scale at Scripps Institution of Oceanography in San Diego. "In fact, something like 90 percent of the flood damages in the western U.S. come from atmospheric river-type storms. And we need to distinguish the hazardous ones from the beneficial ones." • AR Cat 1 (Weak): Primarily beneficial. For example, a Feb. 23, 2017 AR hit California, lasted 24 hours at the coast, and produced modest rainfall. • AR Cat 2 (Moderate): Mostly beneficial, but also somewhat hazardous. 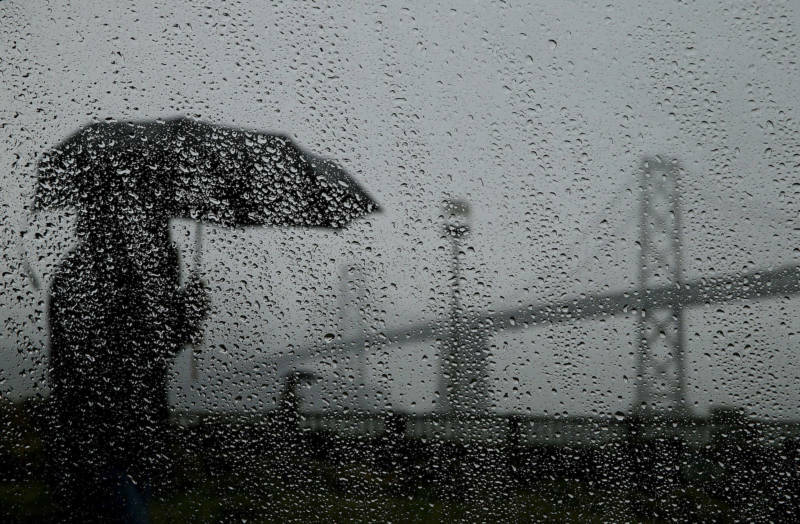 An atmospheric river on Nov. 19-20, 2016 hit Northern California, lasted 42 hours at the coast, and produced several inches of rain that helped replenish low reservoirs after a drought. • AR Cat 3 (Strong): Balance of beneficial and hazardous. An atmospheric river on Oct. 14-15, 2016 lasted 36 hours at the coast, produced 5-10 inches of rain that helped refill reservoirs after a drought, but also caused some rivers to rise to just below flood stage. • AR Cat 4 (Extreme): Mostly hazardous, but also beneficial. For example, an atmospheric river on Jan. 8-9, 2017 that persisted for 36 hours produced up to 14 inches of rain in the Sierra Nevada and caused at least a dozen rivers to reach flood stage. • AR Cat 5 (Exceptional): Primarily hazardous. For example, a Dec. 29, 1996 to Jan. 2, 1997 atmospheric river lasted over 100 hours at the Central California coast. The associated heavy precipitation and runoff caused more than $1 billion in damages. The scale takes into account the amount of water vapor in the air and the strength of low-altitude winds. Storms are downgraded if they're fast-moving and less likely to "stall," dumping huge volumes of rain and snow. Ralph says that going by his new scale, Category-5 ARs come through every three to five years. The last one was during the drenching winter of 2017. It probably tipped the scale of runoff conditions that led to the catastrophic spillway collapse at Oroville Dam. Asked about official adoption of the AR scale, Ralph, who spent 21 years at the National Weather Service, says the concept is a murky one. He says some of his co-authors are government forecasters who say they'll start using the scale, and a program is in the works to train broadcast meteorologists on it. But when -- or whether -- it will penetrate the popular lexicon to the extent that scales for hurricanes and tornadoes have is anyone's guess.